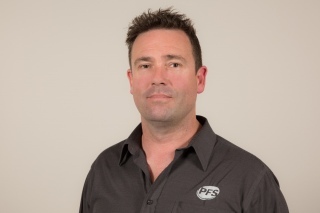 At PFS we are all about the people. This sounds like something every General Manager promotes, however, at PFS we live and breathe it. We currently have a team of approx. 100 and we specialise in tackling the challenging projects, the ones that people say cannot be done, because of time frame, complexity or just pure volume of work. Because we are all about the people it flows into everything we do; part of this commitment is we want to make sure our team are always safe and sound. It is our expectation at PFS that team members go home to their families in the same condition they came to work in with a the knowledge they have contributed to something bigger than themselves. Although we are getting bigger we are an agile and flexible company and our people work together to produce great solutions for our customers often working together from concept through to commissioning. There is no shortage of variety at PFS, and the projects we work on offer an array of different experiences and exciting challenges both nationally and internationally. As a company we understand that to grow we need to train and we offer a number of apprenticeships and graduate recruitment opportunities annually. For all currently advertised positions, click here. PFS is committed to training great people up in the industry, and we offer Light and Heavy Fabrication Apprenticeships. We have approximately 10 apprentices at any one time, and have our own internal assessor. Please note, PFS will not be taking on Summer Interns in 2017. Part of the PFS commitment is a drug free work place. We know good people are not short of opportunities and have many choices; we want them to choose PFS.